It was a true tale of two halves on Friday night in the packed Zalgirio Arena, where Zalgiris Kaunas registered just its fourth win in 11 home games. But it felt like a huge one, as the home team overcame a slow start and rallied in the second half to secure an 82-69 win over Panathinaikos OPAP Athens. 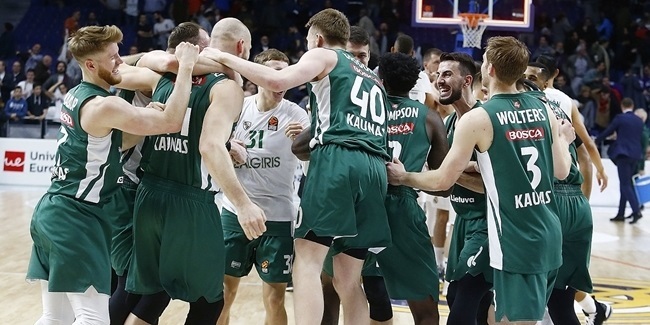 Coupled with a Round 4 win in the Greek capital, this marked the first time in 13 tries this century that Zalgiris swept a season series against Panathinaikos. But it did not look like that would be the case during the first half, when the visitors led from the start and mostly held advantages of 7 to 10 points. "The defense was outstanding, the offensive ball movement was outstanding," Panathinaikos coach Rick Pitino later said in praise of his team's first half performance. Panathinaikos scored 9 of its first 15 points in transition, and had 18 transition points total before halftime. However, all Panathinaikos could show for it was a 33-37 halftime lead, which was erased right away after the break. Zalgiris opened the second half with a 13-0 run, not allowing Panathinaikos to score a single basket for more than 5 minutes. 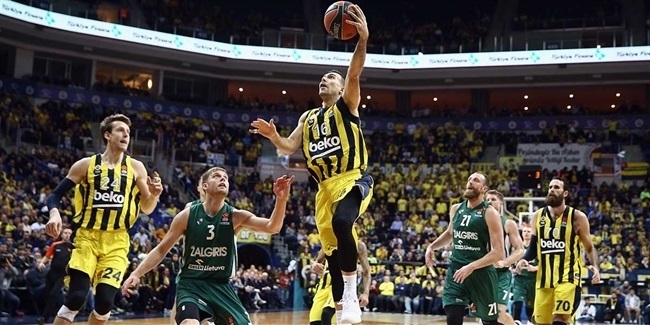 Panathinaikos later came back within a point, but Zalgiris never relinquished the lead. 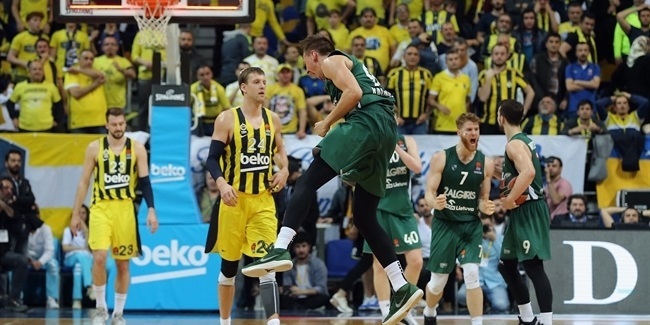 "A lot of our turnovers were punished [in the first half], a lot of transition baskets that can be avoided," Zalgiris coach Sarunas Jasikevicius explained after the game, calling those details "the cheap stuff." And he added: "When we controlled the cheap stuff a little bit more, we looked much better in the second half. And, of course, when you are hitting shots it helps a lot." Zalgiris allowed 37 points in the first half and 32 points in the second, while its offense became a lot more efficient after halftime. The hosts committed just 3 turnovers and hit 5 of 7 triples in the last two quarters. Nate Wolters had all 10 of his points and Aaron White 13 of his 15 after halftime. That resulted in Zalgiris putting up 49 second-half points, all while taking away Panathinaikos's transition game. The visitors had just 4 fastbreak baskets in the second half. "I think the defense was pretty good," Saras said. "We still have a long way to go to improve, but this team has character, we know it, and I think they pulled this one out with their character." Character, and a lot of second-half offense.